Claro Walnut crotch from California. This 13 foot table can be either a conference table or dining table. 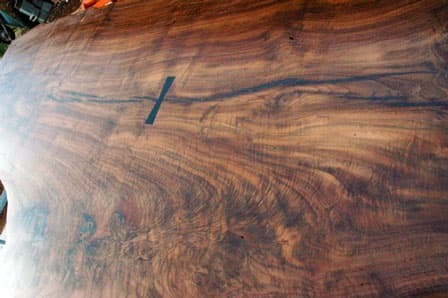 This highly figured Crotch Claro Walnut with curly grain.